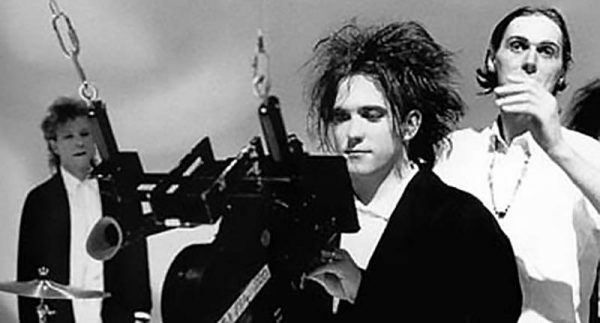 Robert Smith of the Cure looks into the camera as Tim Pope (behind in) prepares the next shot. We recently uncovered this “making of” video tucked away in a corner of VIMEO. Included are scenes of the Cure shooting the video for their 1985 song “In Between Days,” with band member interviews and moments with director Tim Pope.